JetBlue is feeling the crunch, and soon, so will its customers. The company unveiled plans to cut legroom and charge baggage fees. The changes are part of a cost savings and management plan that company executives rolled out on Wednesday. They projected a $400 million a year increase in profits once the plans are enacted. Legroom cuts and baggage fees have become the industry norm. JetBlue (JBLU) and Southwest Airlines (LUV) bucked the baggage fees trend. JetBlue said it would pare back the space between seats -- known in the industry as seat pitch -- by 1.6 inches to 33.1 inches. This will allow the company to add 15 seats to much of its fleet. Even with the cut, it said it still expects its coach seats to have more legroom than similar seats at other major U.S. carriers like Virgin America (VA), American Airlines (AAL) and Delta Air Lines (DAL). It does offer customers an option to pay more for increased legroom. It will also change the way it prices tickets by introducing three tiers. The lowest level will not allow customers to check baggage, while the higher tiers offer one or two checked bags. Currently, it allows flyers to check one bag for free and charges for additional checked bags. 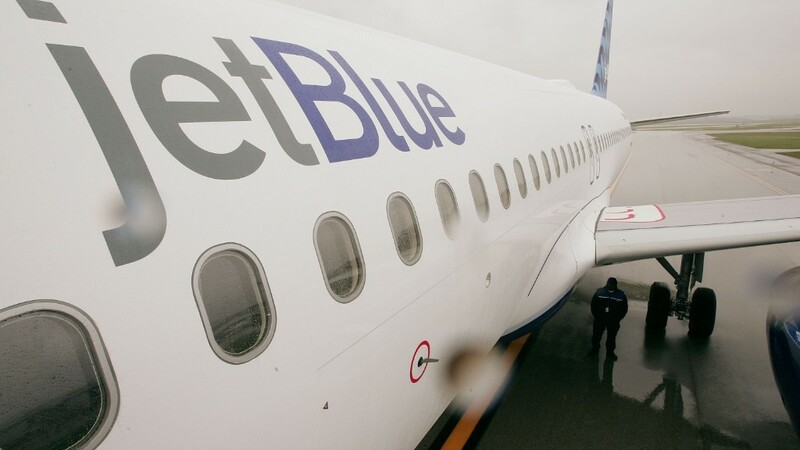 The company said the different levels "will enable JetBlue to tailor its offering to individual customers' needs in a way that is simple and transparent." It made the announcements in a presentation to investors. The stock was up as much as 3% during the presentation and has climbed 53% so far this year.